Artist, writer, illustrator, cartoonist, designer, director, composer, and all-around creative force Dave McKean joins the show to talk about how the story dictates the medium, why comics-making shouldn’t be taught, the balancing act of collaborative and solo work, the missed opportunity of Tundra Publishing, his forays into theater and film with the WildWorks team and how they taught him to give up his control-freak nature, the influence of his jazz background, why it’s okay sometimes to judge a book by its cover, the problem-solving nature of a long walk, how the early loss of his father plays out in his work, his tendency to start every project with a complete failure of confidence, and the confluence of forces that led to his amazing new book, Black Dog: The Dreams of Paul Nash ! Give it a listen! And go buy Black Dog ! 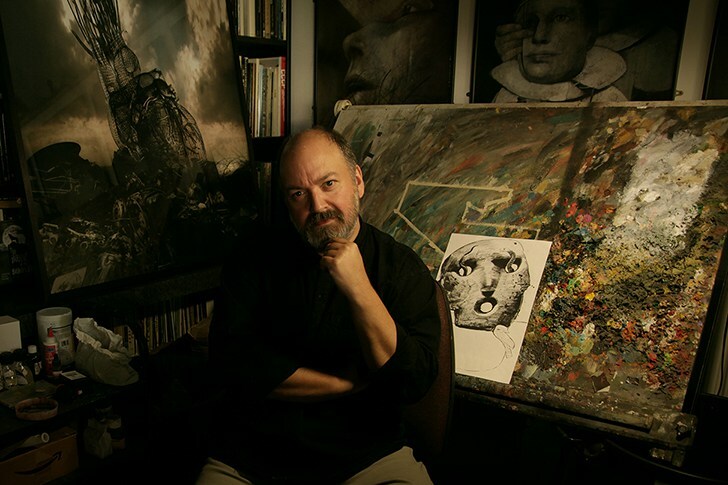 Dave McKean has illustrated many award-winning books and graphic novels, including The Magic of Reality (by Richard Dawkins), What’s Welsh for Zen: The Autobiography of John Cale , The Savage , Slog’s Dad , and Mouse Bird Snake Wolf (by David Almond), The Homecoming (by Ray Bradbury), Varjak Paw and Phoenix (by SF Said), The Fat Duck Cookbook and Historic Heston (by Heston Blumenthal), Rolling Stones: Voodoo lounge , Batman: Arkham Asylum (by Grant Morrison), and a series of works by Neil Gaiman, including Violent Cases , Signal to Noise , Coraline , The Graveyard Book , and Mr. Punch . He also contributed all the cover illustrations and design for Neil Gaiman’s Sandman series of graphic novels. Dave wrote and illustrated Cages , which won the Harvey, Ignatz, International Alph-Art and La Pantera awards. 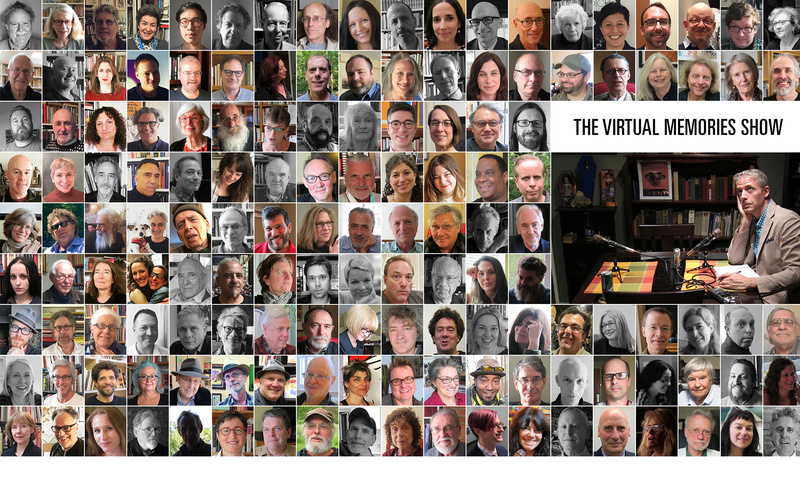 His collection of short comics, Pictures That Tick , won the Victoria & Albert Museum Illustrated Book Of The Year Award, and many of his books are in the V&A Museum. 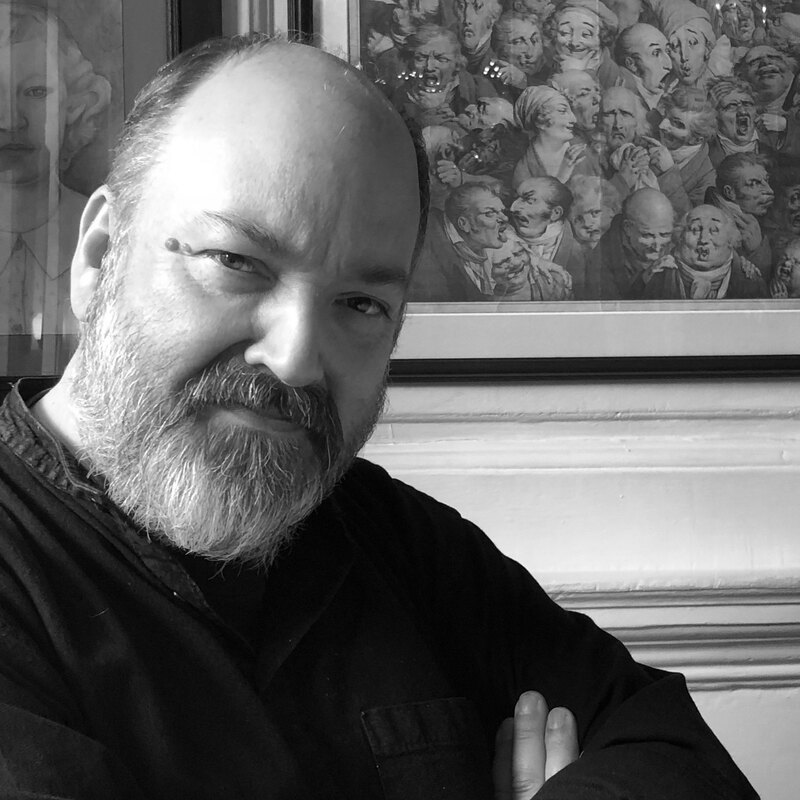 He has created hundreds of CD, book, and comic book covers, has created advertising campaigns for Kodak, Sony, Nike, BMW Mini, and Firetrap, and has produced conceptual design work for two of the Harry Potter films, Elton John & Bernie Taupin’s Lestat musical, and Lars von Trier’s House of Zoon. Dave has written or cowritten, edited, designed and directed several short films and three feature films: MirrorMask , The Gospel Of Us , and Luna . He created and performed a musical/narrative/film work called 9 Lives, which premiered at the Sydney Opera House, and has since collaborated on the multimedia works Wolf’s Child, and An Ape’s Progress. He has exhibited in Europe, America and Japan, and is represented in private and public collections. He is currently acting as Director of Story for Heston Blumenthal’s three-star Fat Duck restaurant, finishing a collection of silent-movie-inspired paintings to be collected in a book called Nitrate, and working on Caligaro, a new graphic novel, as well as several other film and book projects. 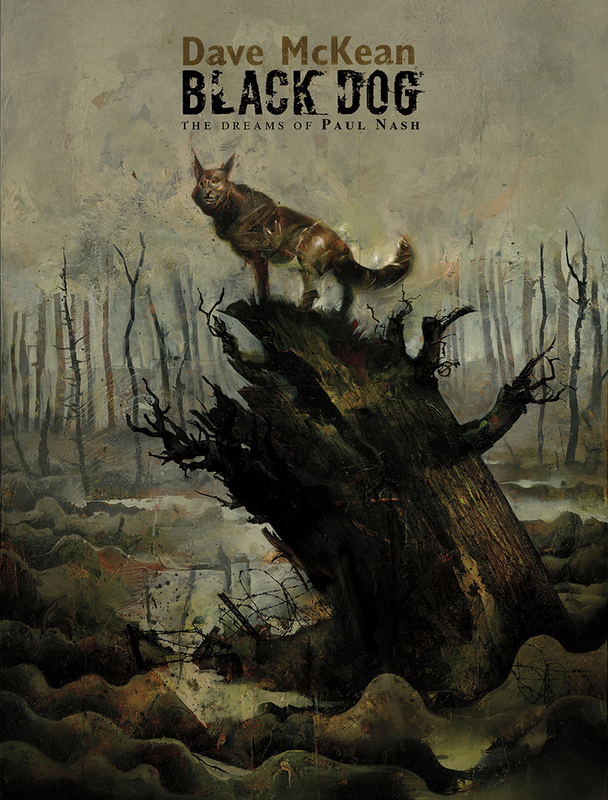 His most recent book is Black Dog: The Dreams of Paul Nash . Credits: This episode’s music is Nothing’s Gonna Bring Me Down by David Baerwald, used with permission from the artist. The conversation was recorded at the Olympus Club in London on a pair of Blue enCORE 200 Microphones feeding into a Zoom H5 digital recorder. I recorded the intro and outro on a Heil PR-40 Dynamic Studio Recording Microphone feeding into a Cloudlifter CL-1 and a Mackie Onyx Blackjack 2×2 USB Recording Interface . All processing and editing done in Adobe Audition CC . B/W photo of Mr. McKean by me. It’s on my instagram. Drawing-board photo of Mr. McKean by Clare Haythornthwaite.